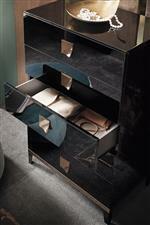 Providing a unique spin on the timeless style and storage of dressers is this contemporary style piece. The dresser features three long drawers in place of more traditional layouts to offer flexibility while maintaining a sleek silhouette. 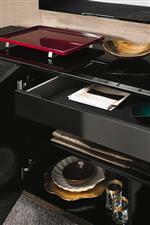 Bronze hardware and trim adds additional flash to the black high gloss finish of the piece. 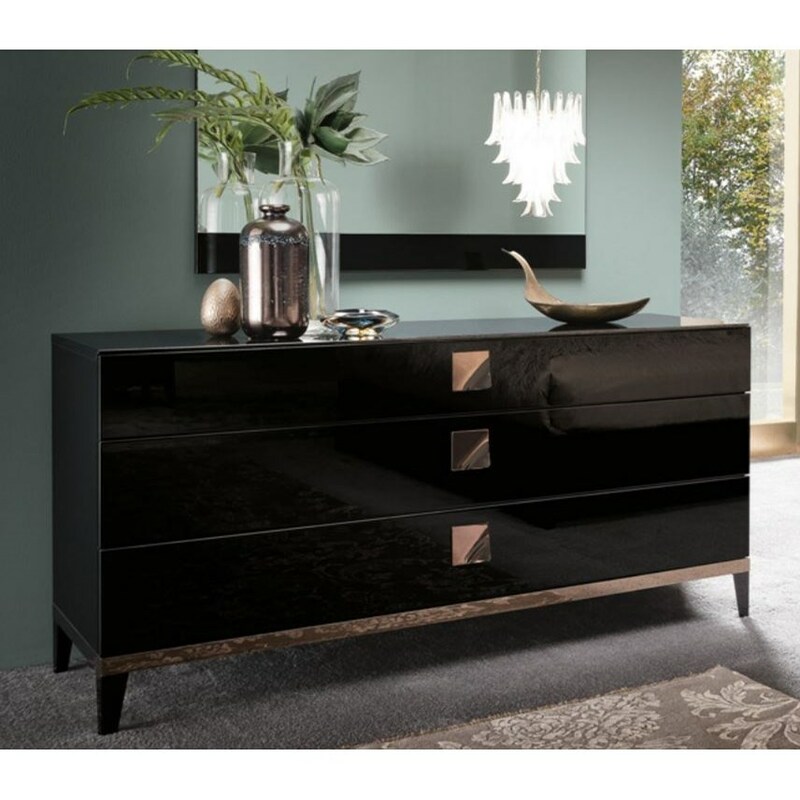 The Mont Noir 3 Drawer Dresser by Alf Italia at HomeWorld Furniture in the Hawaii, Oahu, Hilo, Kona, Maui area. Product availability may vary. Contact us for the most current availability on this product.